20th Anniversary Conclave Reports & Transcripts are now available. The Legal Writing Task Force Report is available. Elizabeth B. Lacy, Senior Justice of the Supreme Court of Virginia, has been named the recipient of the William R. Rakes Leadership in Education Award from the Virginia State Bar Section on the Education of Lawyers in Virginia. 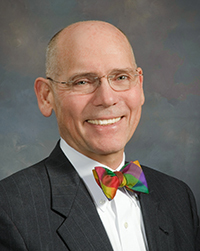 B. Waugh Crigler, retired US Magistrate Judge for the Western District of Virginia, has been named the recipient of the William R. Rakes Leadership in Education Award from the Virginia State Bar Section on the Education of Lawyers in Virginia. The award was established in 2012 to honor former Virginia State Bar president and founder of the Section on the Education of Lawyers, William R. Rakes, a senior partner with the Roanoke firm of Gentry Locke. The award, which is underwritten by Gentry Locke, is to be presented June 18, 2015, at the Virginia State Bar’s annual meeting in Virginia Beach. 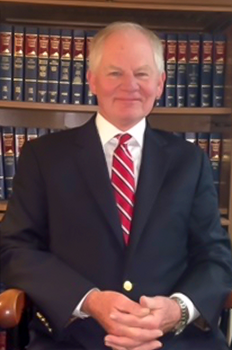 Crigler has a long and distinguished career as a lawyer, judge, and teacher. He has served as a faculty member for the VSB’s Harry L. Carrico Professionalism Course since 1995. In 1998, he was appointed to the bar’s Standing Committee on Professionalism, and later became its vice chair. He helped to develop a curriculum for a professionalism program that was instituted in all law schools in the commonwealth in 2000. He served as chair or co-chair of the Law School Professionalism program until 2003, and remains an active faculty member for the program. 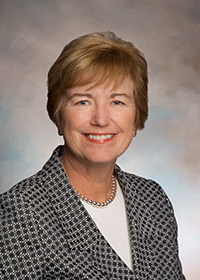 Crigler has served on the board of governors of the State Bar’s Litigation Section since 2009. In 2006, he was elected to the board of governors of the State Bar’s Section on the Education of Lawyers in Virginia, and has served as vice chair since 2010. While serving on these boards, Judge Crigler has written numerous articles advancing trial skills and professional and ethical practice. He received a B.A. in History from Washington & Lee University in 1970, and a law degree from the University of Tennessee College of Law in 1973. Following graduation from law school, Crigler served as a law clerk to the Hon. Robert L. Taylor in the Eastern District of Tennessee and later practiced in Culpeper. In October 1981, the Hon. James C. Turk appointed Crigler as United States Magistrate Judge for the Western District of Virginia. In 1991, Crigler was named by the chief justice of the United States as a member of the Criminal Rules Advisory Committee on which he served until 1997. 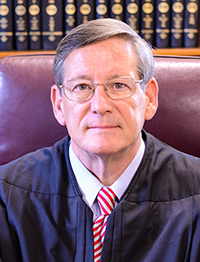 In September 2013, after thirty-two years on the bench, Judge Crigler retired, and in January 2014, he joined The McCammon Group as a neutral. Crigler and his wife Anne will celebrate forty-five years of marriage in June 2015. They have three children and five grandchildren. Legal Writing Pilot CLE Held - Listen to Audio Excerpt Here. 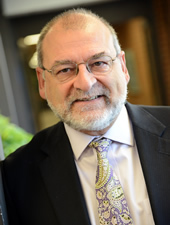 James E. Moliterno, the Vincent Bradford Professor of Law at Washington and Lee University School of Law and an international expert on legal ethics, has been named the recipient of the William R. Rakes Leadership in Education Award from the Virginia State Bar Section on the Education of Lawyers in Virginia. Moliterno has been deeply involved with innovative legal education programs at Washington and Lee and before that at William & Mary where he was the Tazewell Taylor Professor of Law, Director of the Legal Skills Program, and Director of Clinical Programs from 1997-2000. He has received numerous awards for his work at both universities, his scholarship in books and articles is extensive and includes his 2013 book, The American Legal Profession in Crisis: Resistance and Responses to Change (Oxford University Press), and he is a highly sought-after speaker on ethics and professionalism. “I have admired and indeed have often been amazed at his unbridled passion not only for teaching students substantive law, but for doing so in a manner that will allow them to effectively and efficiently serve their clients in a professional and ethical manner,” Hellwig wrote. The awards Moliterno has received span his career. He was awarded the inaugural American Bar Association Gambrell Professionalism Award in 1991 for the best law school program for the teaching of ethics and professionalism. In 2012 he received the Rebuilding Justice Award from the Institute for the Advancement of the American Legal System. Moliterno has been an active participant in all three VSB Conclaves on Legal Education and has delivered about 100 Continuing Legal Education programs to Virginia lawyers and judges. The award, which is underwritten by Gentry Locke, is to be presented in June at the Virginia State Bar Annual Meeting in Virginia Beach. Tell you truly that as I stand here today, with my wife Valerie, that I have never been happier. We have a wonderful life and we treat every day is a glorious adventure to be shared. Imagine waking up each day expecting it to be the best day of your life. Somehow that wonderful life has been punctuated with an exclamation point by the honor of standing before you today. Thank you. I am humbled to be in the line of recipients of this award, all giants of the bench and bar who had enormously successful live s in the law, and then in addition, devoted themselves to the education of lawyers. The 2016-2017 Annual Report is available. The 2017 Fall Education & Practice is now available in the member resources section. Stephen A. Isaacs of Richmond, has been named the recipient of the William R. Rakes Leadership in Education Award from the Virginia State Bar Section on the Education of Lawyers in Virginia. In addition to his general law practice, Isaacs has been the director of the Character and Fitness Committee of the Virginia Board of Bar Examiners (VBBE) since its inception in 1995, working directly with the faculty and deans of each of Virginia’s law schools. Isaacs is being honored for his long-standing and dedicated efforts in the field of legal education, where he administers the character and fitness certification for an average of 2,000 applicants a year for the VBBE. The Rakes award recognizes an individual who has demonstrated exceptional leadership and vision in developing and implementing innovative concepts to improve and enhance the state of legal education, and in advancing relationships and professionalism among members of the academy, the bench, and the bar within the legal profession in Virginia. A graduate of William & Mary where he received both his undergraduate and law degrees, Isaacs is married to Brandt Smith Isaacs and they have two children, Cameron Isaacs Cutro and Kevin H. Isaacs. The award was established in April 2012 to honor former VSB president and founder of the Education Section, William R. Rakes, a senior partner with the Roanoke, Virginia, firm of Gentry Locke. Nominations are invited annually by the board of governors of the Section on the Education of Lawyers. The award is underwritten by Gentry Locke. The Rakes award is to be presented June 15, 2018, at the Virginia State Bar Annual Meeting in Virginia Beach. New Board of Governors elected for 2018-2019.